Thetford Corporation is a world-leading manufacturer of mobile sanitation products for the RV, marine, camping and truck markets. Headquartered in Ann Arbor, MI, Thetford’s product lineup includes a variety of sanitation products that make mobile living more convenient, quicker, cleaner and easier. The company markets its products through various national and international distribution systems, including OEMs, Wholesale Distributors and a range of national retail outlets. Because Thetford’s competition enjoys a price advantage due to going dealer direct, it wanted an ordering system that specifically catered to dealer needs and could handle large-quantity orders. 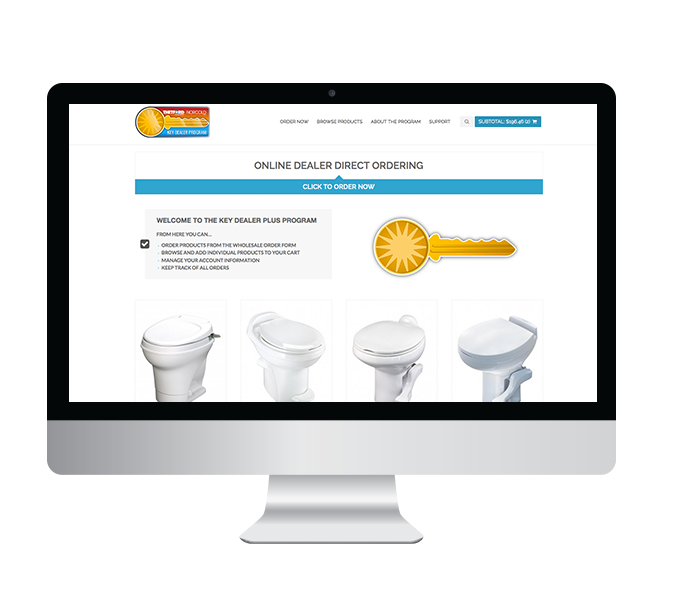 Thetford approached Logic Solutions for assistance in creating a dealer-direct portal. The new portal, built on WordPress with WooCommerce, has a single sign-on feature that allows dealers to sign in just once on the corporate website, then automatically logs them into the dealer site. 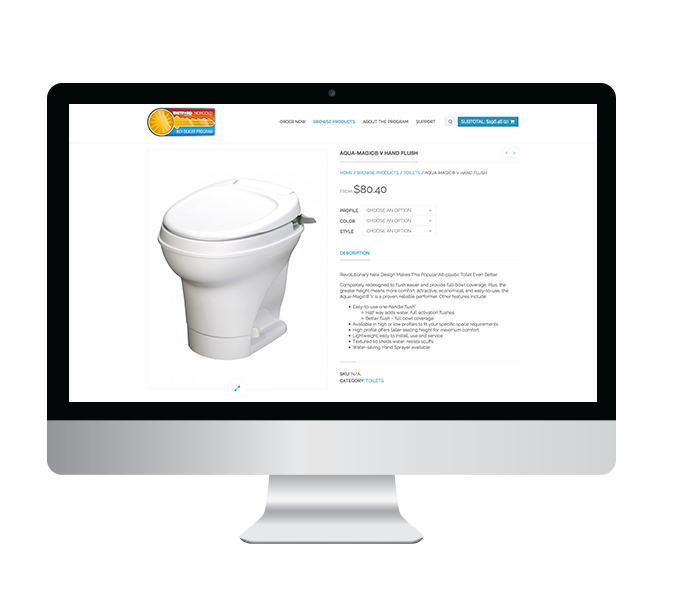 In addition to browsing the standard product catalog, dealers are able to bulk order products at wholesale without going through the catalog if they are already familiar with the product type and name they are ordering. 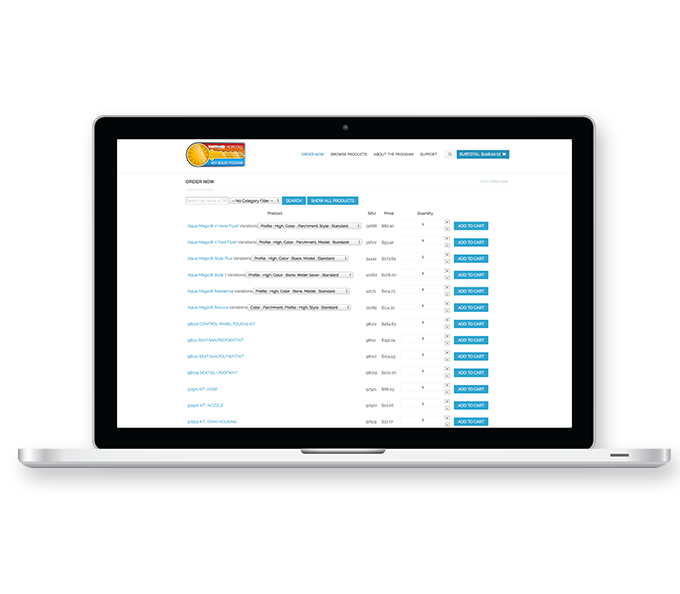 Ordering was made incredibly easy for the dealer while still maintaining complex pricing matrices on the backend. Rules for discounts and shipping costs were customized and embedded to automatically calculate, depending on what’s in the shopping cart. At checkout, a dealer can choose from multiple payment methods, including a credit limit (credit given to an account to defer payment), credit card and PO numbers. Logic integrated the site with Epicor, so all order information is automatically uploaded to an ERP system. Best of all, WordPress and WooCommerce make the new website easy to maintain without any prior technical knowledge. Thetford’s staff can easily populate content and manage products on its site, and the Epicor integration complements current order processing and fulfillment workflow. Order information automatically syncs to Epicor after the transaction process. Logic’s Epicor integration also provides log function to monitor the data-syncing process.